Lido Key Vacation Rental! 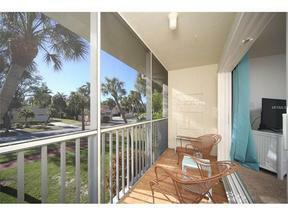 This two bedroom, two bath turnkey furnished dream condo is in the heart of St. Armand's Circle! This charmingly decorated, and freshly painted condo is the perfect place for you to enjoy all the excellent shops, restaurants and many cultural activities that this beautiful area has to offer. The master bedroom offers a king sized bed, there are two full beds in the second en suite bedroom, there is a new flat screen TV in the spacious living area and the screened lanai overlooks a quiet residential street. There is WI FI throughout and a landline for your convenience. The community offers a heated pool and spa and you cannot beat the location, just steps to the shops and restaurants and a block to fabulous Lido beach!